Is this not the awesomest music store in Australia? The Music Swop Shop just outside of Melbourne has not one, but two Farfisas in stock! A Farfisa Bravo console organ, and a Farfisa Super Bravo combo organ. 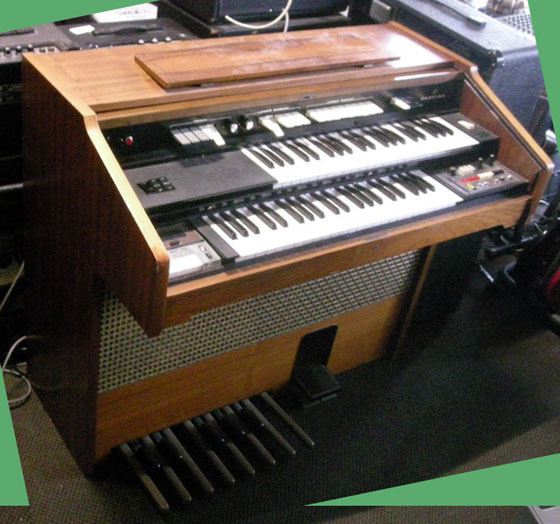 The Farfisa Bravo was a top of the line console organ that featured a Rotating Speaker, Partner 15 Drum Machine, Easychord Section, Reverb, Vibrato, and a Cassette Recorder. The Farfisa Super Bravo takes most of that and wraps it all up in a portable package!